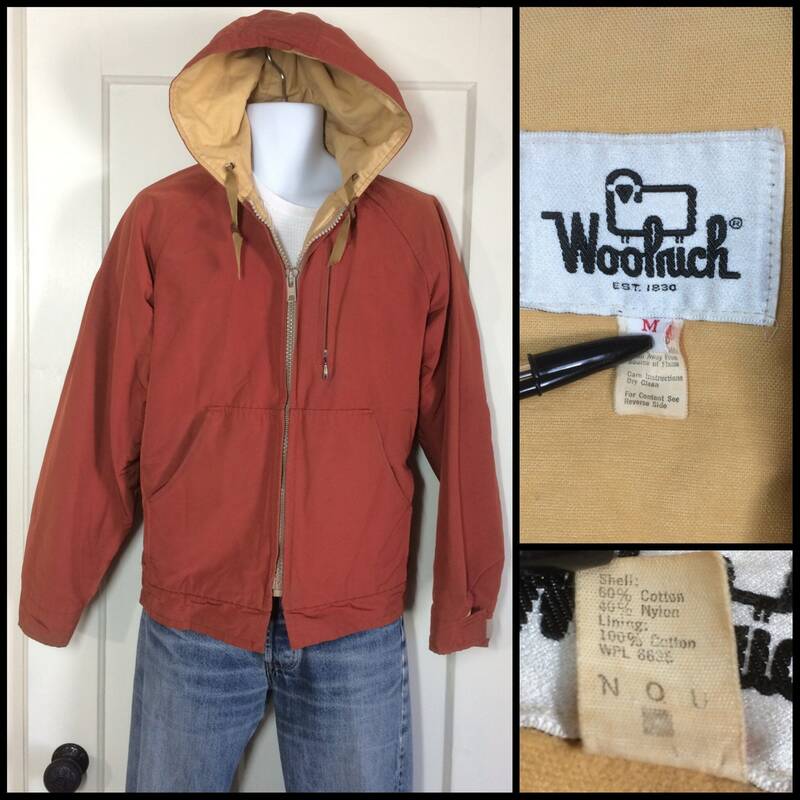 Here's a Woolrich mountain parka from the 1980's. 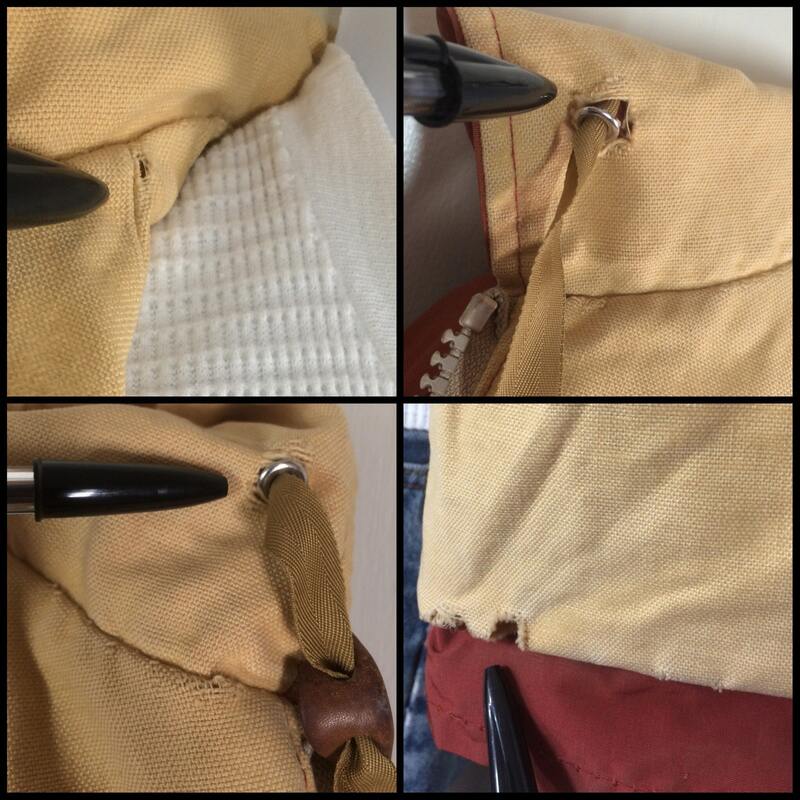 It has soft chamois cloth lining, leather toggles on the drawstrings, velcro straps on the sides and sleeve cuffs. 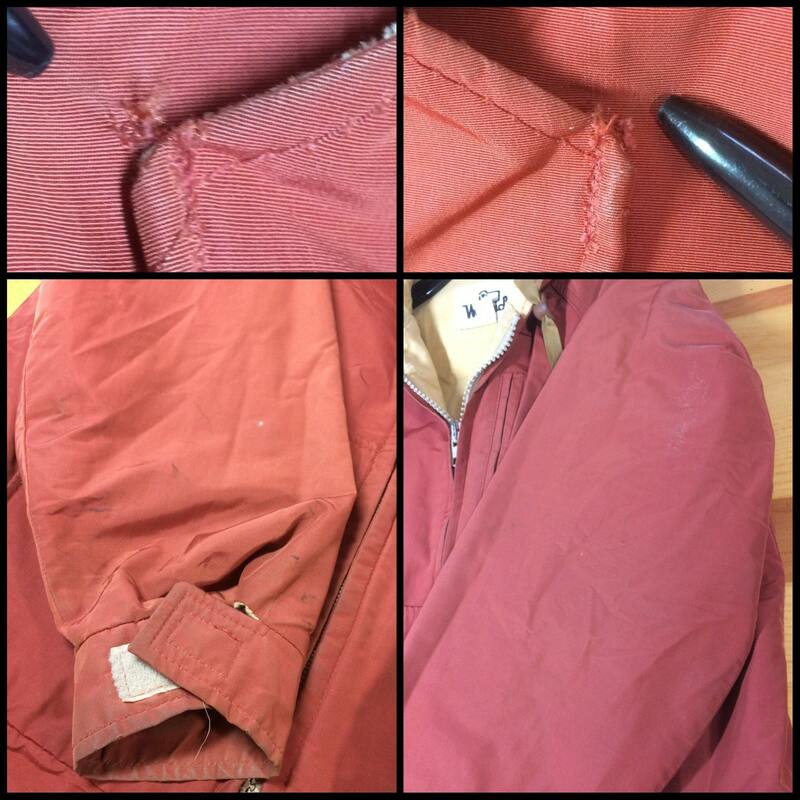 There's dirt, scuffs and marks, mostly on the sleeves and some in front, and light spots on the upper left sleeve. 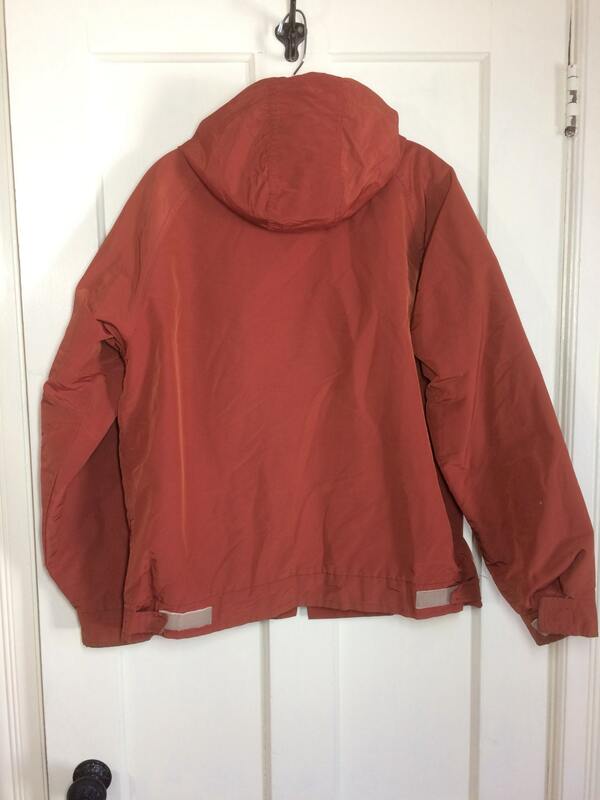 There's a tiny hole by the seam on the bottom 2 pockets. 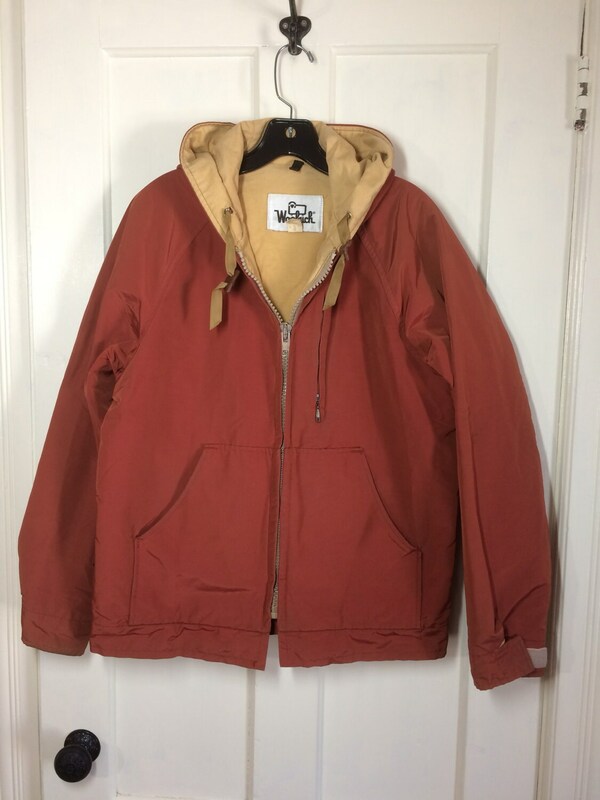 The lining is worn to distressed condition, soft with some holes along the edges, and holes where the eyelets for the drawstrings are, see photos.